The first season of Marvel’s Agents of S.H.I.E.L.D. was a mixed bag. After a slow start, the back end of the season took off after Captain America: The Winter Soldier turned the Marvel Universe’s super-secret spy agency on its side. With a new status quo, the series suddenly got a jolt of energy and a new sense of purpose. As the ABC series enters its second season, fanboys and girls are speculating wildly about what surprises are in store. While no one should expect blatant fan service from the series, some early casting leaks suggest that this season will dig deeper into the Marvel toy chest. So far, we know actress Adrianne Palicki (Friday Night Lights) will appear in the role of Mockingbird, a long-time S.H.I.E.L.D. from the comics, where she is also Hawkeye’s ex-wife. This bit of casting definitely ups the chances of a Jeremy Renner cameo, which would be nice since Clint Barton has been regrettably absent since Avengers. Also making the leap from the comics is Absorbing Man, a Marvel Silver Age villain, who will be played by Brian Patrick Wade (Teen Wolf) in the Sept. 23 season premiere. Just do it. 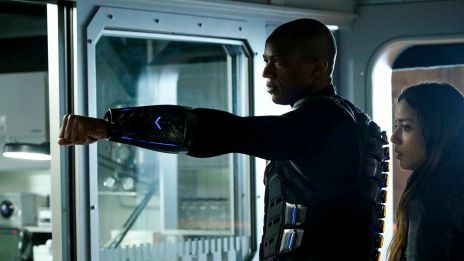 J. August Richards is a great actor (the series needs more of these! ), and now free of his programming, Mike Peterson is free to be the conflicted, tormented cyborg that made him such a cult hit in comics. It doesn’t look like the threats on the show are going to get any easier, and, at some point, a bunch of secret agents without superpowers battling bad guys with powers gets a little hard to buy (if it hasn’t already). They need muscle and firepower; Deathlok has both. Give him a badge already. 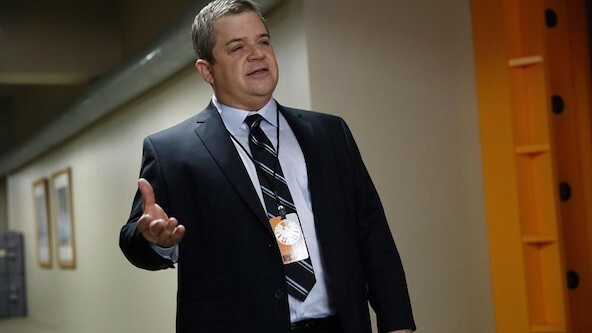 The reappearance of Patton Oswalt’s Agent Koenig (technically, another Agent Koenig) in the finale was a crowd-pleaser. Oswalt, is a nerd of the highest order, and a natural fit in a show like this. Having him potentially be a Life Model Decoy is a great easter egg that could pay off in next year’s Avengers sequel where the big bad will be the malevolent robot Ultron. We know Advanced Idea Mechanics exists in the show’s universe so let’s see them. 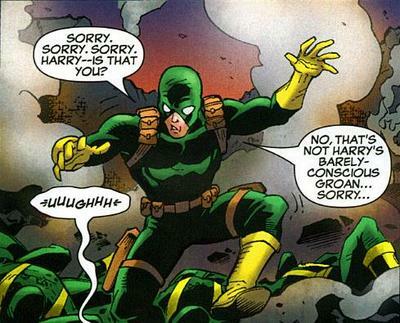 Aside from how fun it would be to see those yellow bee suits in onscreen, AIM are Marvel’s super-science terrorists. That opens up all-new, all-weird cases to solve, as well as a potential dilemmas for characters like FitzSimmons, who could be tempted to embrace their darker scientific curiosities with the organization. 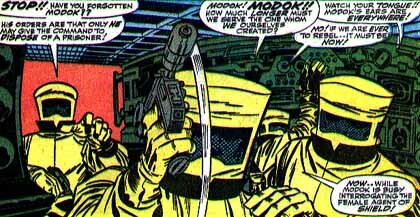 Plus, AIM means M.O.D.O.K., which is something that needs to happen. Where’s Bob the Hydra Agent? Now that we’ve met Hydra, how long can it be before we meet its most famous henchman? In comics, Bob is a kind of everyman — a minion working for a terrorist organization because, hey, work is work. Bumbling and cowardly, he’s typically played for comic relief, and as a commentary on how disposable minions like him are. He’s the type of character that would be right at home in the Whedon-verse. The AV Club‘s Oliver Sava touched on a potential Inhuman connection in his review of the season finale, and he might be on to something. The Inhumans are a race of super-powered people created by the Kree alien race on earth thousands of years ago. We’ve already got a potential Kree connection with that alien goo given to save both Coulson and Skye. And we know that Skye’s parents are dangeours “monsters.” It’s not a big leap to reveal her parents, and by extension her, as Inhumans. Marvel has been making a big push with the Inhumans this year in comics. With such a massive backstory and dozens of characters, it might make more sense to feature them on TV rather than in a movie. While it’s unlikely Black Bolt or Medusa will be showing up, the idea of spending an entire season getting to know the Inhumans could be a lot of fun. 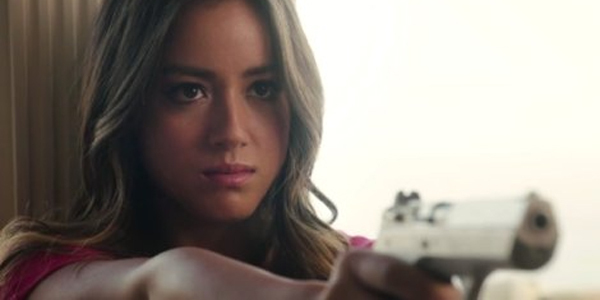 It’s a big world out there, and so far Agents of S.H.I.E.L.D. hasn’t seen all that much of it aside from a bunch of drab S.H.I.E.L.D. bases. 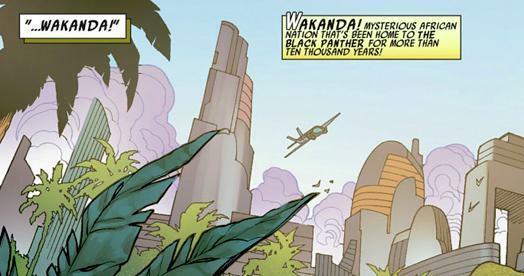 Hopefully season two’s missions will take the team to some of the Marvel Universe’s more exotic destinations like the Savage Land, Madripoor, Wakanda, or Bagalia. UPDATE (9/18/14): Adds a new introduction.